﻿ The Original Pizza Place - Ohio. Find It Here. 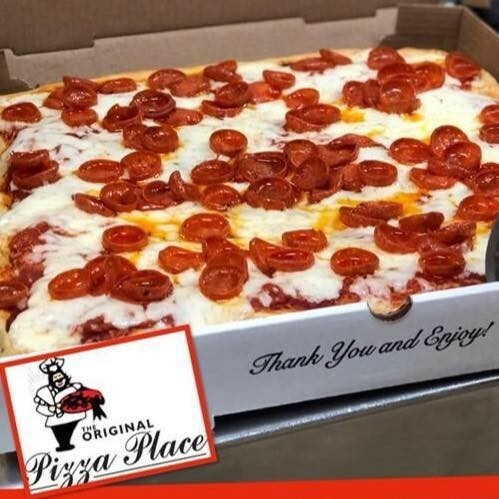 The Original Pizza Place, a local pizzeria brand of the Mid-Ohio Valley since 1976. While best known for our award winning Sicilian style Pizza, we also offer NY Style Hand tossed Pizza, hand stretched and crafted to perfection. With a passion for pizza and our community, we aim for perfection in not only our ingredients but also our customer service. Here at The Original Pizza Place, we shred our own cheese made from Grade A Milk, make our own sauce from imported Italian tomatoes, chop fresh vegetables daily, and slice our premium meats to ensure the perfect toppings. Exceptional quality and service is what has set us apart for 40 years and we think you'll agree.